I was incredibly honored when asked by Scudieri Sensei to write a few words regarding my journey to full certification as a Gym Jones Instructor http://www.gymjones.com/trainer/64 for the Delaware Budokan's website. Sensei left the nature of the piece up to me, and upon reflection I found many similarities between my path to 5th degree Black Belt(Renshi) in kenjutsu and Gym Jones Certification. "The Mind is Primary" emerges first and foremost. One of the core components of Mark Twights philosophy (Gym Jones founder and my personal mentor) is that the mind drags the body behind it. In Kenjutsu(swordsmanship) the mind is even more than primary, it is everything.We practice kata 1000's of times so the body just instinctively knows what to do via the pathways created in the brain.The cognitive process is removed from the equation and we react and respond to the threat without conscious thought. Countless times I have heard Mark Twight say similar things regarding training, self imposed limitations and peak performance. "Nothing focuses like fear" exact words that have been spoken to me by Mr Twight and Sensei. Perhaps it was in regard to a box jump or a dead lift or a kata done with a sword vs bokken(steel verses wood) An element of risk is essential to maximize presence in the gym and the dojo.
" There is little value in doing one thing with your body and another with your mind" Mark Twight. I vividly recall when the first Musashi(famous 17th century swordsman .ed) quote appeared on the Gym Jones members only site, Salvation. And I was completely taken aback when The Way and the Power, Secrets of Japanese Strategy,which is required reading at the Delaware Budokan was quoted. Sensei is in the book. it was written by his Sensei Fredrick Lovret, and also on the Gym Jones suggested reading under mental training. The takeaway as I see it, is that the path to excellence and achievement has reoccurring themes regardless of the destination. Methods and philosophies that lead to success in the dojo are the same as in the gym, bike, rower etc. Who I am as a coach and an athlete has been forged and influenced by many events and fascinating people I have encountered along this journey. Six hour swims in rough cold water and Ironman triathlons taught me how to suffer, Robert MacDonald (Maximus) taught me how to hurt and Mark Twight taught me how to transfer all that I have learned through doing, into a training philosophy. However Sensei taught me something even more valuable, the ability to quiet my mind and direct all my attention to one thing by way of "the martial art that all other martial arts wish they could be." This ability transcends athletics and permeates every aspect of ones existence. Mark Twight often makes reference to "Sites of Power." Places that have a magic way about them. Where peak performance and personal bests are common place. Gym Jones and The Delaware Budokan are such places. Mark Twight, Robert MacDonald and Gym Jones are largely responsible for who I am as an athlete and coach.Scudieri Sensei is 100% responsible for who I am as as a martial artist. The sense of accomplishment when I see my bio on the Gym Jones site as a Fully Certified Instructor is similar to the pride associated with being on the wall with the other Black Belts at the Delaware Budokan. Both were earned through long lasting never ending commitment of self improvement. If the mind is indeed primary, the unobtainable quest for perfection by way of the sword is the path to mastery of all things.
" You cant teach a 400 hundred year old sword anything ...but it can teach you "
"The 300", Superman and " 300 Rise of an Empire". Paul owns the Firm in Rehoboth DE and also holds two DE State weight lifting records. He has competed in international Triathlons, trained Miss Delaware and was the first person to ever swim the DE Bay. Paul is only the 11th person in the world certified by Mark Twight. I was persuaded to write a brief article about my Martial Art's for inclusion in the Lockheed Martin/Wallops Island Newsletter. Martial Arts-Health, Fitness and Life Protection for Body, Mind and Spirit. Martial Arts can serve many purposes for different people. Regardless of whether you practice a Korean style karate, Chinese Kung-Fu,Traditional Japanese or old style Okinawan karate one will continue to reap new benefits and find new meaning in the quest for self improvement in martial arts as long as one continues to train. 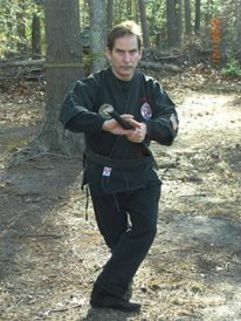 Like so many students I began to study martial arts to become proficient in self defense. When I was 9 years old my family relocated to Bangkok Thailand for 3 years while my father worked in the army. As an American boy in Thailand during the time the war in Vietnam was at its worst. I was consistently challenged to fight. They would say boxing, Thailand boxing Thai boxing, inviting me to have a go at the very unique brutal style of Thai boxing. I persuaded my mother to let me start taking karate lessons. As luck would have it there was no shortage of excellent karate instructors in the area so I began taking Tae Kwon Do with a Korean Master after school. Back in 1969 karate was scary, bare knuckled and bloody, none of the nice soft sparring gear we have today. Chuck Norris and Bruce Lee were the best of the best and provided inspiration for all students. i quickly gained experience and confidence defending myself against strangers in a foreign land. Once back in the USA i began to train again, but this time was different. i was still interested in self-defense, but I was no longer a target, in fact troublemakers avoided me so my pursuit of martial arts became more intellectual. After sometime I settled for a Kung Fu style mainly because I was impressed by the variety of weapons. I became a black belt in Dragon Style Kung Fu and continued on for a few more years until I was interested in an old style Okinawan Karate. I have been training in Okinawan katate for 23 years now. I now understand that karate is much more than fighting or sport, it is science and physics to create the greatest amount of force and deliver it the most efficient way to the most vulnerable parts of the human anatomy. There is no magic, and there are no secret techniques, it is not all science or emotion in karate it is simply a dispassionate means of dealing with unwarranted aggression. The depth of the art and science of karate is staggering. By way of comparison, consider you can learn to fly a F-16 fighter jet in 4 years, while after 4 years of martial arts training you could still be merely target practice to a more experience Karateka. As an instructor working with children I utilize training exercises and drills often in the guise of games to entertain reactions and self defense and success. Young students see success and get applauded; everyone plays no one sits on the bench. Everyday youngsters gain self-respect and self- confidence.The point is not to be the toughest kid on the playground only to have the courage to think for your self and say no i don't want to smoke that or no I wont drink that.it may seem trivial until it is your son and or daughter. Society says its hard for one person to change the world, but for one person to stand his ground though the whole world is against him is just as powerful and it can be done. a fencing foil. saber or a myriad of Europian blades: especially the Japanese Katana.​ As the cultures of Europe changed the weapons and tactics changed also. We see all type of single hand blades and two handed blades like the Celtic broadsword. However in Japan little changed except from a straight bale influenced by Chinese smiths, to the curved blade we see today. In Japan the sword has taken a whole new perspective by becoming an actual Religious Icon. No where else do we see that. However, even today all military officers in various units around the world still carry a sword. Why? Is it not just an anachronism? A left over weapon used in reenactments and martial arts schools? I would say a resounding NO! ​as today the generals lead from the rear. 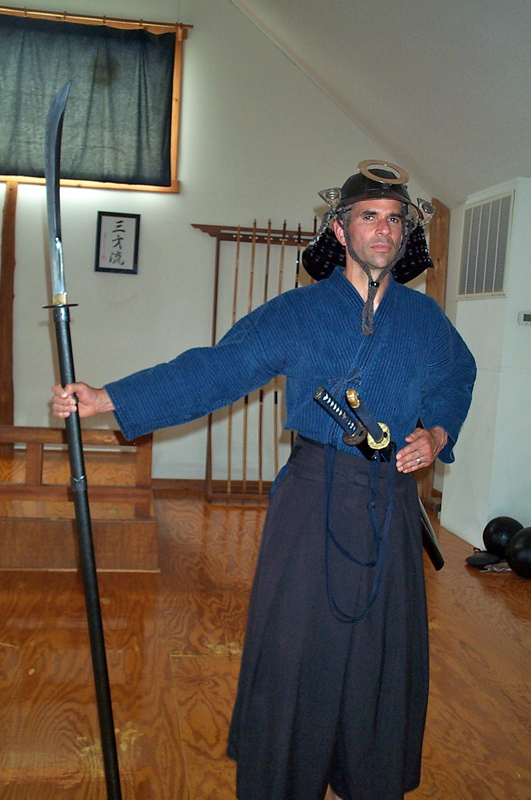 Later we will also explore how the strategies used by swordsmen can be used today in the business of everyday life. The first glaring difference you see between the katana and most of the European blades is the​ katana is used almost exclusively all the time with both hands. When cutting an object you will see how the shape of the blade actually works. We will explore this in depth in a later chapter. 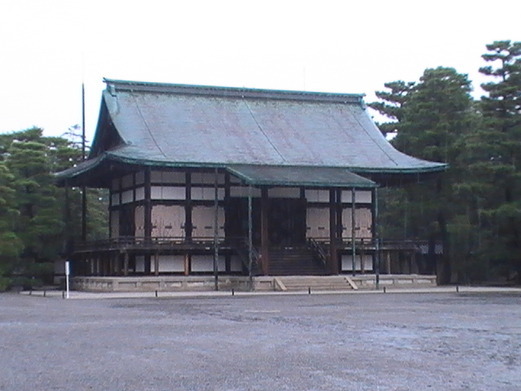 When I was in Kyoto visiting the ancient Imperial Palace there was a building that supposedly held the Sacred Katana for a Thousand years. To understand this a bit more we have to a quick look at the ​​philosophies and religions at the time. Shinto is the main religion of Japan, that implies that everything has a spirit of its own. So when a sword smith is making a sword he usually dresses in white for purity and pounds the blade relentlessly until he quenches the blade. 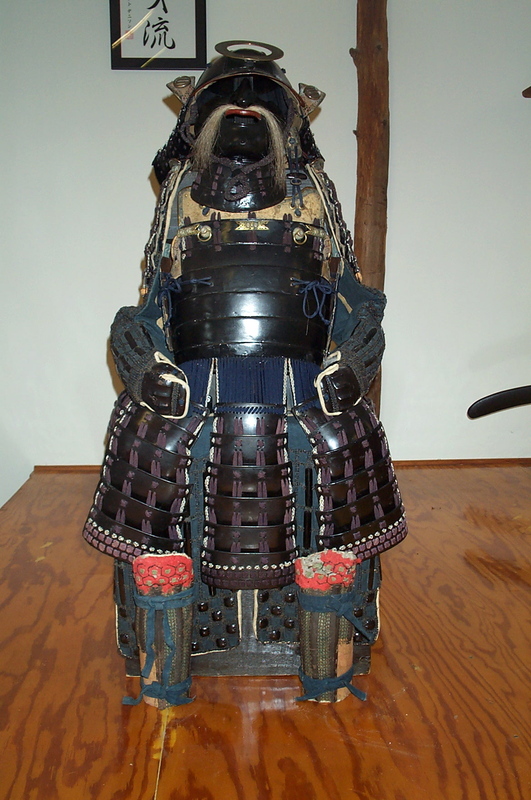 The scabbards or saya are made from wood and different metals used for furniture or fittings are also used. So, each part has a spirit, be it the maker, wood and metal. To honor these different spirits, a simple method called reishiki is used. My sensei once told me " If you want to impress a bunch of 2nd and 3rd degree black belts, do some jumping kicks and fancy waza. (techniques)​ If you want to impress some 7th and 8th dan black belts do a proper reishiki "
So the importance of respect for the katana or reshiki can not be separated from Japanese swordsmanship or Kenjutsu.